That was recorded in 1937 and is notable — to some — for solos by a young Dizzy Gillespie and others as members of Teddy Hill’s NBC Orchestra. But if there were no solos to concentrate on, keen listeners would notice the depth and complexity of Willet’s composition and arrangement, full of surprises. We are trained by the “star system” in jazz to listen for soloists, to disregard the orchestral textures of a performance for the brief passages where Our Person improvises. More erudite listeners will recognize the “charts” created by Mary Lou Williams, Bill Challis, Eddie Durham, Don Redman, Eddie Sauter, Gil Evans, Fletcher Henderson, Benny Carter, Ellington and/or Strayhorn — distinctive expressions of the writer, as recognizable as an individual soloist. John Wriggle’s superb book — a rewarding study of one brilliant arranger, his music, the world in which he operated, and the implications of Wriggle’s research — does a good deal to begin resetting the balance. In two pages (123-24), Wriggle provides a transcription of what is happening in that opening, and then analyzes it. The reader need not be a musicologist to follow and enjoy this book because Wriggle writes so clearly. The experience of reading this book — well-organized and exquisitely documented but with beautiful control (some writers, unlike Wriggle, think every dust mote is equally important and thus overwhelm a reader) — is concentric. Were it simply a biography of Willet, it would be a thin, perhaps limited study. But Wriggle is fascinated by context — “the economic, political, and professional landscape of popular music arrangers working during the Swing Era,” so we learn about the intersection of race and visibility; how arrangers learned their trade and the various rates of pay; Willet’s “Broadway Music Clinic,” music for nightclubs, Broadway shows and theatrical revues; the various clubs and venues themselves. Wriggle examines — I oversimplify here — how Swing Era arranging worked, with close analysis of excerpts from various scores and recordings, and how each arranger had a particularly recognizable identity. He looks closely at the fluid relationships between jazz and the Western classical canon. The book’s scope is refreshingly broad; at one point, Wriggle analyzes Willet’s elaborately dramatic score for the Lunceford version of YESTERDAYS; a few pages later, we learning all there is to know about a new dance, THE HICKY RICKY — novelty numbers, ballads, and jazz exotica are all considered with particular enthusiasm and research. Rare photographs add a great deal to the experience, and the collaboration of Wriggle and the University of Illinois Press is a happy one: the book is carefully presented and well-edited. I found no misprints or errors, rare in this century. The paper edition (a manageable 320 pages) is $30. Reading this book over the past few months, whether I proceeded chronologically or opened it at random, I was always enlightened, ever bored: a great tribute to Wriggle from an impatient and often irritable reader. His background explains a good deal: he is a trombonist, composer, arranger, and scholar, who has transcribed period jazz repertoire for Jazz at Lincoln Center and Vince Giordano’s Nighthawks, and served as music editor for Oscar-winning Hollywood film scores. As a writer and scholar, he is thoughtful without being pedantic or theoretical, without a confining ideological bias. To get a sense of his and the book’s virtues, I offer excerpts from his interview (from the publisher’s blog) about this work. As an aspiring composer-arranger, I first took notice of Willet’s music in the mid-1990s, when I was co-hosting a pre-stereo themed jazz program on college radio station WKCR. I heard the 1937 Mills Blue Rhythm Band session he arranged, including a version of “Blue Rhythm Fantasy.” The combination of musical adventurousness and balanced logic in those arrangements is beautiful, and I was an immediate fan. In 1999, I composed and presented a series of “Variations on Blue Rhythm Fantasy” for a new music ensemble I was leading. But as I tried to find more about Willet through standard jazz history sources, it was always a dead end. When I applied to the Rutgers Jazz History and Research program in 2003, I decided I would see if I could make a thesis project of it. A telephone book cold call led me to a musician named Chico Hicks, who had performed with Willet during 1933-34, and the pieces finally began to fall into place. The more I was able to discover in newspapers and archives, the more I realized what a fascinating figure Willet was. His career reflects so many aspects of the music industry during that period that it made perfect sense to build a book around him. He was really tied into the Swing Era stage entertainment scene, which is something that jazz historians have attempted to ignore for decades as too “commercial.” Willet was also involved in music publishing, home recording, talent booking, and a music school—all the stuff that professional musicians still to do today in order to eke out a living. Similar to music performers working in recording studios during the 1920s and ‘30s, swing big band arrangers were able to cross lines of racial segregation simply because no one could see them. As long as they weren’t appearing in mixed company on the public stage, it didn’t bother the establishment so much for white bandleaders to hire black arrangers, or vice versa. Whether or not these shrouded work opportunities actually helped to break down inequality is an interesting question—and one that was debated in the African American press at the time. On the one hand, arrangers could be considered pioneers of integration; on the other hand, these less-publicized instances of black writers working for white bands could also be interpreted as another form of exploitation. Some black bandleaders even worried that black arrangers were providing unfair advantage to their white competitors, as concerns regarding music and jazz authenticity were often tied to race. The popular success that white bandleaders enjoyed while playing the music of black arrangers like Jimmy Mundy, Sy Oliver, or Chappie Willet certainly highlighted issues of racism and segregation that America was struggling with leading up to the civil rights era. Willet himself was embraced as a “race man” in the African American press: a role model for economic success in an entertainment industry that was just beginning to consider strategies for integration. This book attempts to provide a window into the broader world of professional arranging in jazz and popular music: What were these musicians trying to do with their music? How were they trained? Where did they work? How much were they paid? And looking in more detail, I also hope to highlight the artistry involved. Audiences of arranged music are being provided more sonic information than just the song lyrics or featured solos. And a good arranger can transmit a lot of information very effectively. BLUE RHYTHM FANTASY is a wonderfully enlightening experience. It is readable but dense with information — an old-fashioned book not especially suited for reading on one’s phone — a splendidly-documented exploration of an artist and his musical world that will both answer and raise many questions. I hope John Wriggle will write many more books equally wise and appealing. “Georgie,” youthful. Photograph reproduced with permission from the owner. Copyright 2013 The George Barnes Legacy Collection. Alec Wilder told George Barnes that the latter’s music offered “Reassurance, reaffirmation, wit, warmth, conviction and, best of all, hope!” I agree. I first heard the magnificent guitarist (composer, arranger) George Barnes without knowing it. His sound cut through the Louis Armstrong Musical Autobiography sessions for Decca — in the late Sixties. Even listening to Louis — as any reasonable person does — I was aware of this wonderful speaking sound of George and his guitar: a man who had something important to tell us in a short space (say, four bars) and made the most of it. Not loud, but not timid. In the early Seventies I actually saw George and heard him play live — he was sometimes five or six feet from me — in the short-lived quartet he and Ruby Braff led. And then he was gone, in September 1977. And here’s a new treasure — a double one, in fact. For the others. . . . I don’t know what your feelings are when seeing the words COUNTRY JAZZ. Initially, I had qualms, because I’ grew up hearing homogenized “country and western” music that to me seems limited. But when I turned the cardboard sleeve over and saw that Barnes and friends were improvising on classic Americana (OLD BLACK JOE, THE ARKANSAS TRAVELER, CHICKEN REEL, IN THE GLOAMING, MY OLD KENTUCKY HOME) I relaxed immediately. No cliche-stew of wife / girlfriend / woman / dog / truck / rifle / beer / betrayal / pals here. Call it roots music or Americana, but it’s not fake. And the band is exciting: George on electric guitar, bass guitar, and banjo [his banjo feature is extraordinary]; Allan Hanlon, rhythm guitar; Jack Lesberg, string bass; Cliff Leeman, drums, percussion; Phil Kraus, vibes on one track; Danny Bank, mouth harp on one track. The sixteen tracks (and one bonus) come from this 1957 session recorded for Enoch Light — in beautiful sound. The improvisations rock; they are hilarious, gliding, funky, and usually dazzling. There’s not a corny note here. And gorgeously expansive documentation, too. That would be more than enough fun for anyone who enjoys music. But there’s much more. George began leading a band when he was 14 (which would be 1935) but made a name for himself nationwide on an NBC radio program, PLANTATION PARTY, where he was a featured from 1938 to 1942. The fourteen additional airshots on this generous package come from the PARTY, and they are stunning. Each performance is a brief electrifying (and I am not punning) vignette, and sometimes we get the added pleasure of hearing announcer Whitley Ford introduce the song or describe George’s electric Gibson as a “right modern contraption,” which it was. I can’t say that it’s “about time” for people to acknowledge George as a brilliant guitarist and musician, a stunning pioneer of the instrument — because the jazz and popular music histories should have been shaken and rewritten decades ago. But I’d bet anything that Charlie Christian and a thousand other players heard PLANTATION PARTY, and that a many musicians heard George, were stunned, and wanted to play like that. I’m writing this post a few days before July 4, celebrated in the United States with fireworks. George Barnes sounds just like those fireworks: rockets, stars, cascades, and explosions. I don’t know that fireworks can be said to swing, but with George that is never in doubt. To buy the CD, visit here — and at the George Barnes Legacy site, you can learn much more about George, his music, his family, his career. Worth a long visit. Posted in "Thanks A Million", Bliss!, Generosities, Hotter Than That, Irreplaceable, Jazz Titans, Pay Attention!, Swing You Cats!, That Was Fun!, The Heroes Among Us, The Real Thing, The Things We Love, Wow! Let’s assume you had an urge to put on a show celebrating the music and lives of Tommy and Jimmy Dorsey. You’d need at least fourteen musicians, and they’d have to be versatile — a reed wizard able to duplicate the curlicues of JD on BEEBE and OODLES OF NOODLES, to sing soulfully on his more romantic theme song. You’d need a trombonist who could get inside TD’s steel-gray sound, perhaps someone to evoke Bunny Berigan, a drummer who understood Dave Tough and Ray McKinley, vocal groups, singers . . . a huge undertaking. Those energetic young fellows, Pete and Will Anderson, twins who play a whole assortment of reeds from bass clarinet and flute to alto, tenor, and clarinet, have neatly gotten around all these imagined difficulties to create a very entertaining musical / theatrical evening doing the Fabulous Dorseys full justice. It’s taking place at 59E59 (that’s the theatres at 59 East 59th Street in New York City) and you can see the schedule there. The Anderson Twins have two kinds of surprising ingenuity that lift their tribute out of the familiar. (You know — the PBS evening where a big band with singers walks its way through twenty hits of X and his Orchestra, punctuated by fund-raising.) They’ve assembled a sextet of New York’s finest musicians — great jazz soloists who can also harmonize beautifully: Pete and Will on reeds; Ehud Asherie on piano; Jon-Erik Kellso, trumpet; Clovis Nicolas, string bass; Kevin Dorn, drums. No, there’s no trombonist — but our man Kellso does a wonderful job of becoming TD on I’M GETTING SENTIMENTAL OVER YOU — a tribute to both of them. And rather than being a parade of the expected greatest hits, this is a musical evening full of surprises: a few rocking charts by Sy Oliver that remind us just how hard the Forties TD band swung; a beautiful piano solo by Ehud in honor of Art Tatum; several of the arrangements that Dizzy Gillespie wrote for JD’s band, and a few improvisations that show just how this sextet, alive and well in 2012, can rock the house: DUSK IN UPPER SANDUSKY, HOLLYWOOD PASTIME, and more. But the evening is more than a concert — the Andersons have a fine theatrical sense of how to keep an audience involved. In 1947, Tommy and Jimmy starred in a motion picture that purported to tell the story of their lives — THE FABULOUS DORSEYS. On the plus side, the movie has the two brothers playing themselves as adults, and some extremely dramatic performances by the stars of the Abbey Theatre, Sara Allgood and Arthur Shields, as Mother and Father Dorsey. It also has on-screen footage of Art Tatum, Ray Bauduc, Ziggy Elman, Charlie Barnet, Mike Pingitore, Paul Whiteman, Henry Busse . . . a feast for jazz film scholars. As cinema, it verges on the hilarious — although I must say that its essential drama, the rise to fame of the Brothers, is helped immensely by their true-to-life inability to get along. In the film, they are finally reconciled at their father’s deathbed . . . which makes a better story than having them join forces because of the economics of the moribund Big Band Era. The Anderson boys use clips from the film as a dramatic structure to keep the tale of the Dorseys vivid — and it also becomes a delightful multi-media presentation, with the Andersons themselves pretending to feud (with less success: sorry, boys, but you lack real rancor), pretending to break the band in two and then . . . but I won’t give away all the secrets. My vote for Best Speaking Part in a Musical Production goes to Kevin Dorn, but, again, you’ll have to see for yourself. It’s musically delightful and — on its own terms — cleverly entertaining. I will have more to say about this production in the future, but right now I wanted to make sure that my New York readers knew what good music and theatrical ingenuity waits for them at 59E59. This show will conclude its run on October 7 — don’t miss it! I was tempted to call this post COUNT BASIE MEETS MARILYN MONROE, but thought better of it and opted for the title of a 1937 Victor 78 with Mezz Mezzrow, Sy Oliver, J.C. Higginbotham, and others — for this delightful late-night saxophone / vocal gala. Sessions featuring a proliferation of one kind of instrument (you know, four trumpets and a rhythm section) sometimes rely on drama for their motivating force: will A outplay B? But these musicians are united my love and admiration rather than competition, so they left the cutting contest out on the Hotel Athenaeum lawn. Basie, not JATP. And what musicians! On the reeds, we have Scott Robinson, Dan Levinson, Dan Block, Harry Allen; with Rossano Sportiello, piano; Frank Tate, bass; Pete Siers, drums — with a lovely cameo appearance by Becky Kilgore, singing two songs associated with Marilyn Monroe — while remaining our Becky. What a marvelous session — not exactly DANCING WITH THE STARS . . . more like ROCKING WITH THE MASTERS. Posted in "Thanks A Million", Ideal Places, Irreplaceable, Jazz Titans, Pay Attention!, Swing You Cats!, The Heroes Among Us, The Real Thing, The Things We Love, Wow! It’s taken me some time to write about Hank O’Neal’s book, THE GHOSTS OF HARLEM (Vanderbilt University Press), but admiration slowed me down. What follows is only the smallest sample of its contents. Between 1985 and 2007, O’Neal (an excellent home-grown journalist who knew how to ask questions and get out of the way) interviewed forty-two jazz giants. Some were well-known (Dizzy Gillespie, Joe Williams, Clark Terry, Buck Clayton, Milt Hinton, Illinois Jacquet, Cab Calloway, Andy Kirk, Sy Oliver, Jonah Jones, Benny Carter, Maxine Sullivan, Buddy Tate), others no less deserving but in semi-obscurity to all but jazz devotees and scholars (Al Cobbs, Ovie Alston, Gene Prince). Almost all of O’Neal’s subjects have now died: Frank Wess, Terry, and Billy Taylor might be the sole survivors. 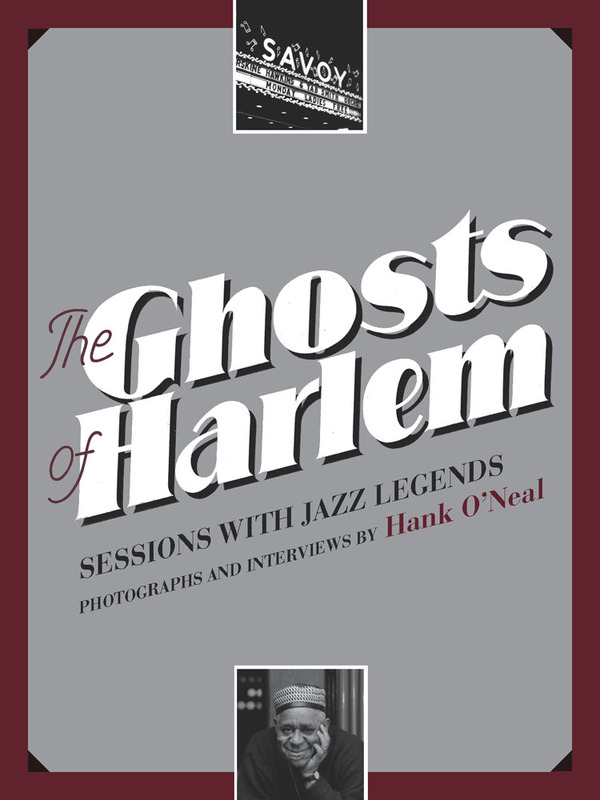 Rather than ask each musician for a long autobiographical summary, O’Neal focused on their memories of Harlem. Fascinating stories resulted, which eventually proved stronger than their grief for a way of life that they had seen vanish. O’Neal is also a fine photographer from the old school — Berenice Abbott was his occasionally irritable mentor — so the book has large-format photographs of its subjects, often in their homes, as well as invaulable jazz memorabilia (advertisements and posters, record labels and the like) and photographs of the buildings that now stand where the uptown clubs used to be. I find those transformations hard to take; that Connie’s Inn is now a C-Town supermarket makes me gloomy. But because many of the musicians had never been asked to talk about Harlem, they responded with fresh stories that were hilarious, profound, touching. The book is full of stories: impatient Stuff Smith wandering out on the ledge of a tall building. How Coleman Hawkins explained his record of BODY AND SOUL to Thelma Carpenter as musical love-making. What Milt Hinton’s teacher said to him. Danny Barker explaining the difference between New Orleans and New York in terms of hospitality. Al Casey paying tribute to Teddy Bunn. Buddy Tate remembering the last time he saw Charlie Parker alive. And the book comes with a compact disc of many of the giants playing (and talking) — musical history. THE GHOSTS OF HARLEM is too cumbersome to take to the beach, but it’s a masterpiece. To learn more about it, visit http://www.vanderbiltuniversitypress.com/books/335/the-ghosts-of-harlem, where you can see twenty beautiful sample pages. I’ve just read David Rickert’s assessment of “The Complete Louis Armstrong Decca Sessions (1935-1946)” issued by Mosaic Records in 2009, an essay published in ALL ABOUT JAZZ. Rickert’s on the right path, but I found many of his statements confusing, even contradictory. But before some eager commenters leap to his defense, I am not in the ad hominem trade, merely puzzled. As far as recordings by trumpeter Louis Armstrong go, the Decca recordings don’t generate much interest. Prior to them came the Hot Five and Hot Seven recordings, the most influential jazz recordings ever made and the template for everything that was to come. Afterward came the superb pop recordings for RCA, which showed a masterful entertainer more respected for his vocal prowess than his trumpet playing. The Decca years represent Armstrong’s adolescence: a bit gangly, sometimes awkward, and filled with questionable choices amidst the bold assertions of identity. Part of the problem may be that the Decca recordings have been available somewhat helter skelter over the years. Who better to provide some coherence than Mosaic? The label has compiled everything that Armstrong recorded for Decca, brilliantly remastered from the original metal parts or discs, and with thorough liner notes from jazz veteran Dan Morgenstern to boot. With this seven CD set, it is finally possible to assess this set completely and perhaps more firmly establish them as the great records they are. Critics of these recordings gripe about the subpar quality of the song choice, which is surprisingly inferior given the astounding amount of good songs that were written at the time. A quick glance at the tracks will confirm this suspicion; there are quite a lot of second tier songs (you can often spot them just from the title.) At the time, Joe Glaser had recently become Armstrong’s manager and quickly obtained the services of Jack Kapp at the newly launched Decca label to record him. And record they did—166 tracks over 11 years that also span the infamous recording ban. Kapp saw Armstrong as a novelty act, someone whose numbers might be a little corny and superficial and easy on the ear. In this regard he had much in common with pianist Fats Waller, another mugger who recorded piffle. But also like Waller, Armstrong was always able to turn even the most insignificant material into something special, even if it wasn’t perhaps high art. He also correctly assumed that his performance would carry the material, and more often than not it did. There are some undeniable misfires here, such as a few numbers with a Hawaiian theme, and some gospel numbers, along with a few numbers like “When Ruben Swings the Cuban” that even Armstrong can’t redeem. But there are also quite a few numbers that Armstrong absolutely nails and turns into masterpieces, such as “On the Sunny Side of the Street,” “Struttin’ With Some Barbeque,” “Tiger Rag,” “Wolverine Blues,” “Satchel Mouth Swing” and “Jubilee” proving that a terrific song and superb musicianship can always combine to make musical gold. Anther problem for some critics is the quality of the sidemen. There are really no stellar musicians on the stand, but rather serviceable sidemen capable of playing the charts and managing a decent solo when prompted. Clearly the focus here was on Armstrong and the rest of the band was only called upon to provide sturdy accompaniment and little else. Thus, unlike the Hot Five and Seven Recordings, there’s no pianist Earl Hines or trombonist Kid Ory to keep Armstrong on his toes and match his chops (although truth be told, few could keep up with him). The novelty here is hearing Armstrong navigate the world of big band coming from the smaller groups he had employed earlier. The recordings start out startlingly sweet and progressively get hotter, matched by terrific charts from Sy Oliver and Joe Garland. Armstrong was also paired with other artists from the Decca label such as saxophonist Glen Gray, reed player Jimmy Dorsey and bassist Bob Haggart, all white musicians, and pairings that helped erase the color lines that existed. There are also a few visits with vibraphonist Lionel Hampton and a reunion with soprano saxophonist and clarinetist Sidney Bechet, as well as early appearances with guys like guitarist Dave Barbour who would go on to greater things. Oh yes, and the first pairing of Armstrong and singer Ella Fitzgerald. Armstrong has always been the Shakespeare of jazz, someone regarded as a widely influential genius, yet not one who escapes the ranks of academia except for the occasional Pottery Barn compilation. Many jazz fans probably find themselves throwing on something other than Armstrong most of the time. If so, the Decca recordings are his King Lear: somewhat problematic for many, a little cumbersome, yet showing him moving in a new direction all while displaying all the qualities that made him great. A sampling of the best of these records would show how truly great this period was. Mosaic’s warts and all approach necessarily includes some questionable material. But with the Mosaic touch, don’t be surprised if these recordings reemerge as a classic period in Armstrong’s career. I wonder if the second statement is a matter of commerce rather than artistic merit. The Deccas were never reissued intelligently at home. Rather, they came out in blurts, “Jazz Classics,” “Collector’s Items,” “Golden Favorites,” and several well-meanin but incomplete attempts. It was left to Gosta Hagglof to issue the Deccas logically and completely on CD. It’s always tempting to see a jazz artist’s career in terms of the progression of record labels, but in doing this, Rickert presents some debatable generalities. 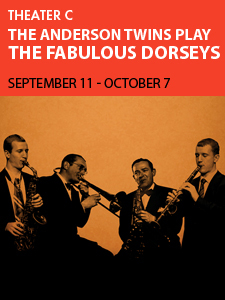 The Hot Five and Seven recordings are “the most influential jazz recordings ever made”; the later Victor sessions produced “superb pop,” where Armstrong’s singing overshadowed his trumpet playing. How about the “influential jazz recording, BIG FAT MA AND SKINNY PA and the “superb pop” of JACK-ARMSTRONG BLUES or PENNIES FROM HEAVEN? This harks back to the ideological wars of the Forties, Moldy Figs arguing with Be-Boppers over whose music was “authentic,” over how one defined “the real jazz.” I thought we were past those quarrels. In fact, if you admire what creative improvisers do with their material, what could be better than Louis did with ON A COCOANUT ISLAND? Did it take more inventiveness for Fats Waller to swing THE CURSE OF AN ACHING HEART than the MINOR DRAG? I would think so, but for these musicians, it was all music. Perhaps even trying to play WHEN RUBEN SWINGS THE CUBAN is a heroic act in itself, and the discographies of many revered jazz musicians show equally unpromising titles. To his credit, Rickert recognizes that Armstrong was able to “redeem” many of the song choices and make them “something special.” But he may confuse the musician, the record company, and the song. It is easy to view Armstrong as a good-natured pawn in the hands of White manipulators Jack Kapp and Joe Glaser, Kapp coming in for special excoriation for trying to make Louis a “novelty act.” But record companies then and now wished to sell records — and, after years when companies went bankrupt, one can hardly blame Kapp for trying to ensure broad popular success. Should we care how many people admire a particular piece of art? What has popularity to do with merit? And if Rickert could point out to me where “academia” and “Pottery Barn,” meet, I’d be grateful. I’d even meet him at the clearance sale table. I applaud the idea of Louis as King Lear — majestic, commanding the winds. But I don’t think that Louis had to pass through suffering to arrive at true awareness: his music shows that he had reached a deep awareness early. Ultimately, I wonder if Mr. Rickert was victimized by circumstances in writing his review. Mosaic box sets — in this case, seven compact discs — are initially overwhelming, not well-absorbed in one or two hurried gulps. I wonder if he was sent this box with perhaps two weeks to listen to it and write about it. He would either have had to work his way through the set — rather like doing homework — or to listen to it in pieces, hoping to find the figure in the carpet. In either case, I admire his fairness: praising Mosaic, attempting to situate Louis in a cultural context. But he’s missed some of the beauties of these recordings. It’s perfectly understandable to look back to Louis’s partnership with Earl Hines as a high point. But the Hot Five and Hot Seven recordings are in some sense artificial, because Louis never worked with those groups. The Deccas, for better or worse, represent some of the material Louis was performing every day with working bands. But to become nostalgic for Kid Ory is to neglect J. C. Higginbotham. And if you’re looking for a musician perfectly paired with Louis, able to keep up with him and to spur him to new heights, I would submit that Sidney Catlett is the man. I would ask Mr. Rickert to listen to WOLVERINE BLUES for Catlett alone, to THANKS A MILLION and SOLITUDE for the beauty of Louis’s expressive singing and playing. Follow that up with the sides recorded with the Mills Brothers, those dreaded Hawaiian sides, and more. Only then can he or anyone get a true picture of Louis’s achievement . . . and that might take a good deal of time.